Congratulations Shawn Coffey for embodying the spirit of CrossFit and throwing yourself out there and competing in the Midwest Classic at CrossFit Body Tech. You did CFB proud and competed with heart and dignity. Your reps were solid and you showed tremendous sportsmanship. Well done, buddy. Before enjoying a day with family and stuffing yourself, napping and watching football on Thanksgiving, join us at Beverly park for a fun Co-Rec flag football game. CFB's 3rd annual Flag Football Turkey Bowl will be held at 8:30am at Beverly Park. Libations are welcome and a sense of humor expected. Bring the kids to play also. There is a sign up sheet next to the office and we will pit AM vs. PM again. Thanksgiving weekend hours: Wednesday November 26-No CF Kids, No Yoga. AM sessions and PM Open Gym are on. Thursday November 27, Thanksgiving-Turkey Bowl at Beverly Park, No sessions at Box Friday November 28, Box officially Closed. However if staff members choose to open up for some time we will inform you publicly via FaceBook or the website. Saturday November 29-Open Gym 9-noon, No scheduled team WOD. Sunday November 30-Open Gym 9-11, No CF Kids. Saturday November 29 is the Beverly Hills Turkey Trot. This is a fun 5k run through the beautiful streets of North Beverly. What a great way to give back to the community by donating to the 19th Ward Children's Fund and burning some Thanksgiving pie? If you are interested in competing in the Trodo Games in January 24th at CrossFit Illumine, start building a team for the Trodo Open which will be held here at CFB Saturday December 6. 2 Girls/2 Guys, 3 divisions of scaling Cat 1 (Rx) Cat 2 (Moderately Scaled) Cat 3 (Scaled to each athlete's abilities.) If you want to try a competition and want a no pressure place to try, there is no better program then Trodo to get you feet wet and get a taste of the competition floor. Trodo is open to ALL CFB Athletes. 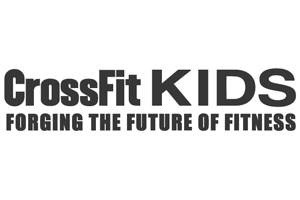 Also The weekend of January 17-18 the First Annual Icebox Classic will be held at CrossFit 155 in Mundelein. There is a scaled and Rx individual event Saturday and a Team of 2 Rx, 1 girl/1 guy, event Sunday. 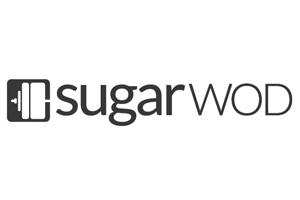 click here https://s3.amazonaws.com/app.wodhopper.com/wordpress/clients/CrossFit+Carbon/iceBoxClassic.html for more details. There is a sign up sheet for Rx jump ropes. We have 15 which gets us a discount of 15%. If we get 21 we get 20% offGo to Rx Smart Gear and find a rope, thickness and length. Then place your order on the sheet. We will place the order after we have 10 orders. CFB celebrated our Grand Opening December 17, 2011 and we want to continue celebrating bringing CrossFit to the Beverly, Morgan Park, and Mt. Greenwood neighborhoods. We are proud of the fact we are the first CrossFit Affiliate on the south side. We hope all our CFB athletes and guests will come and share in our success and raise a glass toasting CFB going into it's fourth year. Saturday December 13, will be the third CrossFit Beverly anniversary/holiday party. Doors will open at 5:00pm and it will be a catered affair by Chucks Southern BBQ with open bar. Feel free to bring a beverage of your liking or drink all of ours. If you have received a new credit/debit card because of recent retail fraud alerts, or any reason, please check your user profile on MindBody to see if you need to update info. 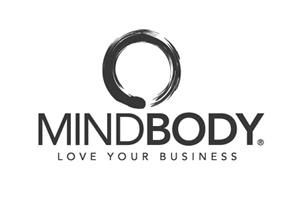 Simply log onto MindBody enter the email and password you set up when you joined CFB and click on "My Info," once into that page select "Billing Information." It's that easy. Thank you. As always, any questions, comments, or concerns, please feel free to reach out. 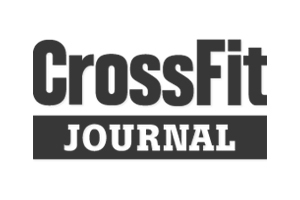 send all correspondence to chris@crossfitbeverly.com.